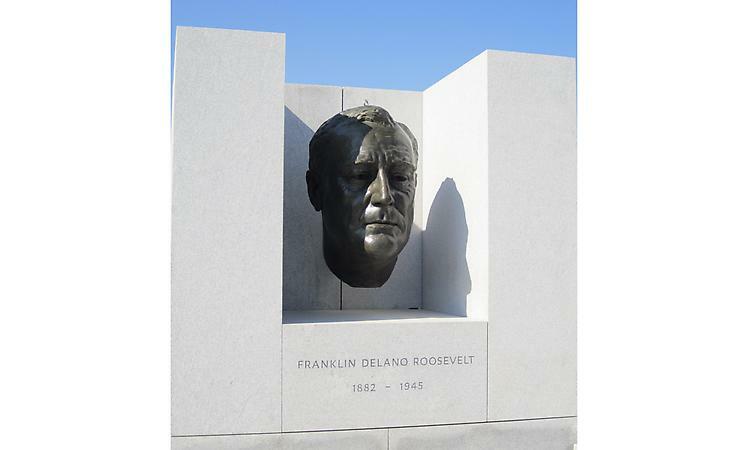 Four Freedoms Park featuring Jo Davidson's Bust of Franklin Delano Roosevelt. 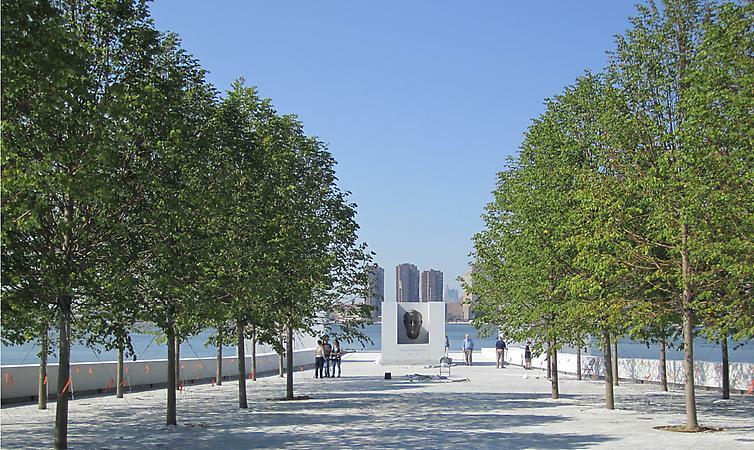 The focal point of Louis Kahn's design for Four Freedoms Park is a bronze head of President Franklin D. Roosevelt made by the great American portrait sculptor, Jo Davidson. Modeled in 1933 during Roosevelt’s first term, Davidson’s portrait reflects the vitality, intelligence, and determination of the man who over twelve years would devise the country's path out of the Great Depression and through the worst of World War II toward peace and prosperity. Jo Davidson was this country’s most important portrait sculptor in the first half of the twentieth century. Just as historians and journalists, Davidson was a chronicler of his time. Portraiture was his profession, but he also considered it his personal mandate to make visual records of people who shaped an extraordinary era—among them, Mohandas Gandhi, Albert Einstein, Helen Keller, Mother Jones, Charlie Chaplin, Ernie Pyle, Dwight D. Eisenhower, James Joyce, Gertrude Stein, Clarence Darrow, and Charles Lindbergh. Davidson put his sitters at ease, which allowed him to intuit what lay behind immediate appearances. He could keep their energy from flagging because he worked with remarkable speed, and this combined with his skill for finding the authenticity of his subjects made him a great portraitist. Davidson found the White House a warm and welcoming place, and he was given what now seems astonishing access to the President. Over several days he modeled FDR working in the Oval Office, relaxing after dinners at which Jo was included—he even modeled as the President reviewed paperwork in bed. From Davidson's description the two dynamic and affable men enjoyed each other’s company. Such a personal connection along with Davidson's opportunity to observe Roosevelt living and working in The White House resulted in a remarkably affecting portrait.